Influenza is a highly variable viral infection that can produce a wide spectrum of illness, ranging from mild or even asymptomatic presentation, to severe and/or life threatening. While we think of a patient’s age and/or co-morbidities (COPD, Asthma, pregnancy, etc. ) as being predictive of a greater chance of complications, with the 2009 Swine Flu of 2009 (H1N1) and with several strains of avian flu (H5N1, H7N9), we’ve seen young, otherwise healthy adults quickly overwhelmed by their infections. For a number of years researchers have been looking for a hematological or genetic marker that would help predict which patients would be most likely to experience severe influenza, and which were more likely to recover without incident. In late 2009, in The Best Defense, we looked at research from Harvard Medical School and the Howard Hughes Medical Institute, that identified the IFITM3 protein as capable of inhibiting the replication of influenza, and other viruses, such as West Nile and Dengue. We revisited the IFITM3 story again in early 2012, in Luck Of The Draw, when we looked at research from the Wellcome Trust Sanger Institute, that found that people who carried a particular variant of the IFITM3 gene - (SNP rs12252-C) - were more likely to be hospitalized with severe influenza. Here we report that the CC genotype is found in 69% of Chinese patients with severe pandemic influenza A H1N1/09 virus infection compared with 25% in those with mild infection. Specifically, the CC genotype was estimated to confer a sixfold greater risk for severe infection than the CT and TT genotypes. More importantly, because the risk genotype occurs with such a high frequency, its effect translates to a large population-attributable risk of 54.3% for severe infection in the Chinese population studied compared with 5.4% in Northern Europeans. Interferon-induced transmembrane protein-3 genetic variants could, therefore, have a strong effect of the epidemiology of influenza in China and in people of Chinese descent. All of which serves as prelude to a study that appeared yesterday in PNAS, that finds this IFITM3 CC gene variant (aka C/C Genotype) is linked to hypercytokinemia (aka a `Cytokine Storm’), and a severe outcome, in H7N9 infections. Briefly, Cytokines are a category of signaling molecules that are used extensively in cellular communication. They are often released by immune cells that have encountered a pathogen, and are designed to alert and activate other immune cells to join in the fight against the invading pathogen. This `Cytokine Storm' has been described as a positive feedback loop, where immune cells - encountering a pathogen - secrete signaling cytokines which call more immune cells to the site of infection - which in turn secrete more cytokines - which call even more immune cells to join in the fight . . . This cascade of immune cells rushing to the infection can, in rare instances, literally kill the patient. Their lungs can fill with fluid (which makes a terrific medium for a bacterial co-infection), and cells in the lungs (Type 1 & Type II Pneumocytes) can sustain severe damage. The lead author is Laureate Professor Peter C. Doherty (who shared the 1996 Nobel Prize for medicine for his work in immunology), who divides his time between St Jude Children’s Research Hospital in Memphis and the Department of Microbiology and Immunology at the University of Melbourne. A unique avian-origin H7N9 influenza virus caused 134 human infections with 44 deaths. The host factors contributing to moderate vs. severe disease are not clear. Here, we show that H7N9 severity was associated with a higher level of cytokines/chemokines. We demonstrate that the cytokines in the infected lung were 100- to 1,000-fold higher than those in the plasma. Furthermore, we found that the IFN-induced transmembrane protein-3 (IFITM3) C/C genotype was associated with severe clinical outcome, as reflected by reduced time in seeking medical aid; more rapid progression to acute respiratory distress syndrome; and higher viral load, cytokine/chemokine levels, and mortality rate. Overall, our data suggest that the IFITM3 genotype is a primary driver of the observed differences in clinical outcome after H7N9 infection. The entire study is available to download, and is well worth doing so. It is important to note that while the variant C/C genotype was over represented among seriously ill patients (compared to its prevalence in the local population), and the C/C genotype was also linked to more rapid disease progression than with the others, that severe disease was also seen with the T/C and the T/T WT genotypes. So it doesn’t mean that if you have one of the other genotypes, you are guaranteed an easy time of it. But your odds of a bad outcome apparently go up with the C/C genotype. The authors suggest that rs12252 sequencing along with the monitoring of plasma cytokines could help predict which patients would be most at risk of developing a severe, or even life-threatening, infection. These findings may mean that anti-inflammatory drugs, or other therapies that can reign in a runaway immune response (see Study: Calming The Cytokine Storm), may prove effective in treating severe influenza. It is intriguing that the CC genotype4 is rare in Northern Europeans and common in Asian populations. As many other viral infections are restricted by IFITM3 in vitro, including severe acute respiratory syndrome (SARS) coronavirus, Dengue virus and West Nile virus1, 7 the high population allele frequencies may have been influenced by complex virus exposures. In conclusion, our data clearly extend the earlier observation in a European cohort that the IFTM3-rs12252CC genotype is significantly associated with influenza severity. The association is primarily with severity of disease rather than susceptibility to infection, although larger studies are required to prove this specific association. IFITM3 may have an important role in virus replication and dissemination following the initial infection. The much higher level of the CC genotype in the Han Chinese population compared with Caucasians may place the Chinese at a higher risk for developing severe illness upon influenza infection. It is not known whether those who are more severely infected with influenza virus are more likely to spread the infection. If this is the case, the high frequency of the C allele in Asian populations may influence the epidemiology of influenza. 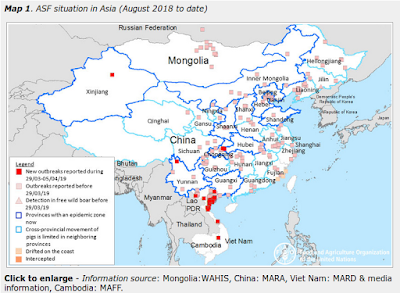 Which may mean that the high morbidity and mortality rates we’ve seen with the H7N9 virus in China might be moderated somewhat, should the virus spread to populations where this genetic variant is less common. Or not, as we are still in early days in understanding how pandemic viruses behave across a diverse population. A final thought, in 2006 we saw a Lancet study called Estimation of potential global pandemic influenza mortality on the basis of vital registry data from the 1918—20 pandemic: a quantitative analysis that found as much as a 30-fold difference in population mortality as the Spanish Flu traversed the globe. While good records were not always kept, anecdotal reports suggest that China and India were hit many times harder than Northern Europe, or North America. While a large number of variables (economic, climatic, population density, access to healthcare, diet) might well account for this, a genetic propensity towards more severe infection might have been a factor as well. Questions that we’ll hopefully have much better answers for after the next severe pandemic has passed, and has been thoroughly analyzed.